Tim's Classic Messiah book is now available in it's second edition. 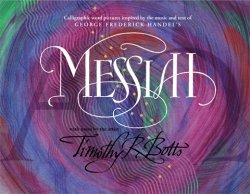 Here the elements of Scripture and music combine in a majestic and emotive way through his rendering of the Messiah by George Frederick Handel. Includes artist notes by Tim Botts.